"Although Portman stuns as the famous first lady, but the film leaves a lot to be desired." 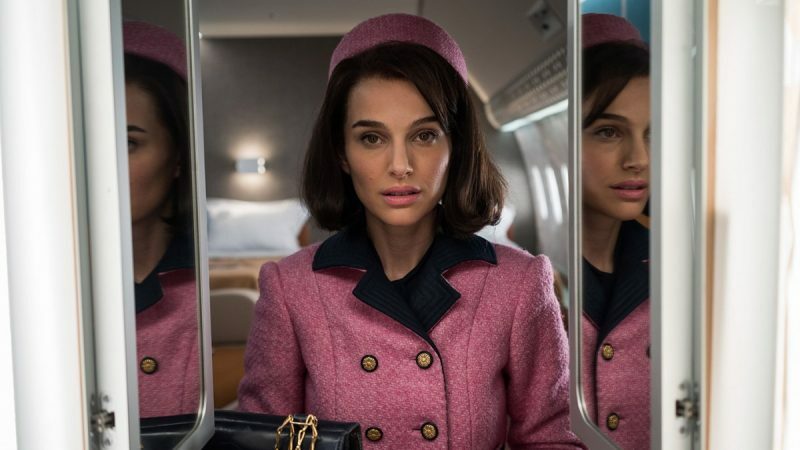 Jackie is directed by Pablo Larrain and stars Natalie Portman as a recently widowed Jackie Kennedy who is dealing with the events surrounding her husband, President John F. Kennedy's assassination. Jackie centers around a reporter (Billy Crudup) coming to Jackie's new home to get her account of the tragic events. While giving this interview, Jackie manipulates every word that she says as well as every word the reporter writes. When she does give a genuine moment, she makes sure he does not have permission to publish it. The audience watches while Jackie stoically plays the role as the strong mother fighting to go on for her children, while simultaneously remembering the actual accounts which are told to the audience in flashback. Events are chronicled such as the immediate swearing-in of the new president Lyndon B. Johnson (John Carroll Lynch), her supportive yet antagonistic relationship with her brother-in-law Bobby Kennedy (Peter Sarsgaard), whiles also dealing with witnessing her husband's murder. Jackie isn't so much of a linear narrative as it is an intense character study. While the performances, especially from Portman, are pitch perfect, the film does leave you wanting more. Jackie has many wide shots, black and white historic footage blended to very carefully to fit likenesses of the new actors and emphasis on the bright primary colors in many scenes: it is structured to look like a current documentary. But the film would have benefited from a more linear storytelling structure. One of the goals of a character study, especially one as famous as this one is to get a clearer idea of why they make the choices they make in such a polarizing situation. Jackie Kennedy is a painted as a complicated woman who did not have a perfect life with her husband and was thrust into the public eye completely unprepared. Did her short time in the White House teach her to be aggressive about her image? It may have been the murder, but wouldn't an event of that magnitude would prompt a woman to lose control and not become militant in their pursuit of gaining it? This film did not really explain why that is. You also really cannot tell if Jackie's a nice person, an innocent person, or an angry person? Jackie is a style icon who threw wonderful parties. But as a human being, walking around on screen, she is still as much as an enigma as she is described in the news articles written about her. The best scenes in the film are the conversations that Jackie has with her priest, which detail her only honest feelings about the events. Including these scenes including the ones with the reporter, made the film a little confusing. The director is working so hard to illustrate Jackie's layers of emotion, but he doesn't really need to. 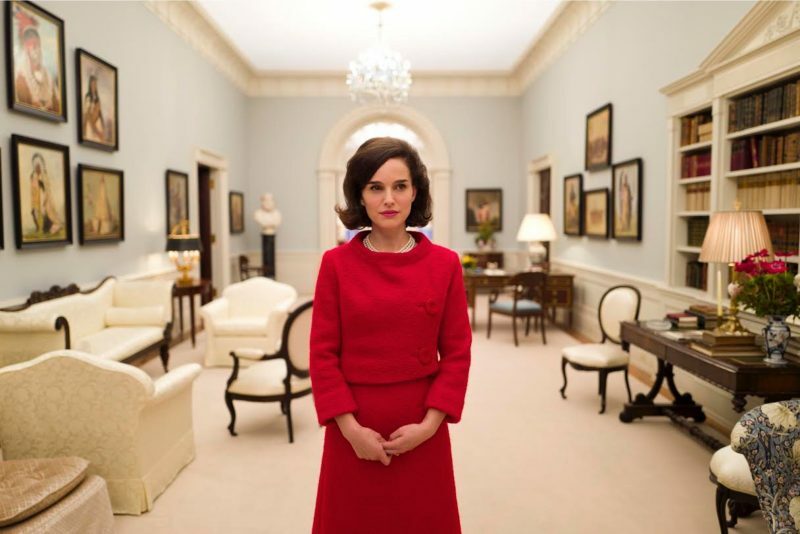 Jackie's core is one great performance from Natalie Portman, but the film itself leaves a lot to be desired. There's plenty of well frames scenes with good conflict and dialogue, but there is no story. There is plenty of fact-based past footage, but you don't know what is actually real.